Its not quite Instagram but Hipstamatic's Oggl will do for your Windows Phone 8. Till the time Facebook launches Instagram for Windows Phone, I guess this will make do. The free version has been updated and now lets you share your images on Facebook, Twitter and Instagram. Oggl has also launched a PRO version for the 41MP shooter Nokia Lumia 1020 which lets you adjust white balance, ISO and shutter speed in addition to photo editing tool. And the free version for Windows Phone 8 lets you edit and add filters to your images pretty much like Instagram but not as good as it. The App also lets you share your images on Instagram but you will not be able to view images posted on Instagram by your friends. Hipstamatic also updated its iOS App to give you more photo browsing choices. You can now tapp on hashtags to view similar images. You can "save every version' of your edits so that you can go back to the cut you like the best. 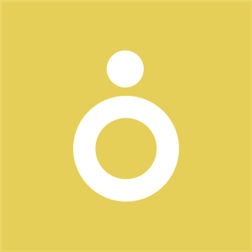 To download free version of Oggl for Windows Phone, go to Windows Phone Store here. If you own a Nokia Lumia 1020 and are interested in buying the PRO version, visit here. iOS users can get their updated Oggl from Apple Store here.